Ballooning Bruges: explore like a bird! Always wanted to go ballooning over Bruges? See this amazing city from a bird’s eye point of view? Well, it’s possible! Ballooning over Bruges is exciting and will definitely add to your already wonderful weekend in Bruges! Point of departure for a ballooning trip over Bruges is depending on both the wind’s strength and direction. So sometimes you start Ballooning Bruges fairly close to the city, other times you have to go a little further. A ballooning trip over and around Bruges takes up to a full hour! You can marvel at the surrounding landscapes, farms, small and bigger villages and in the distance you can spot the North Sea. The best time to make a ballooning trip around Bruges is early in the morning when the world is waking up or in the evening right before sunset, when nature is at its best and the light is mesmerizingly beautiful. 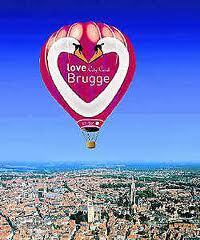 For more information about ballooning Bruges, visit the website of Ballooning Bruges.